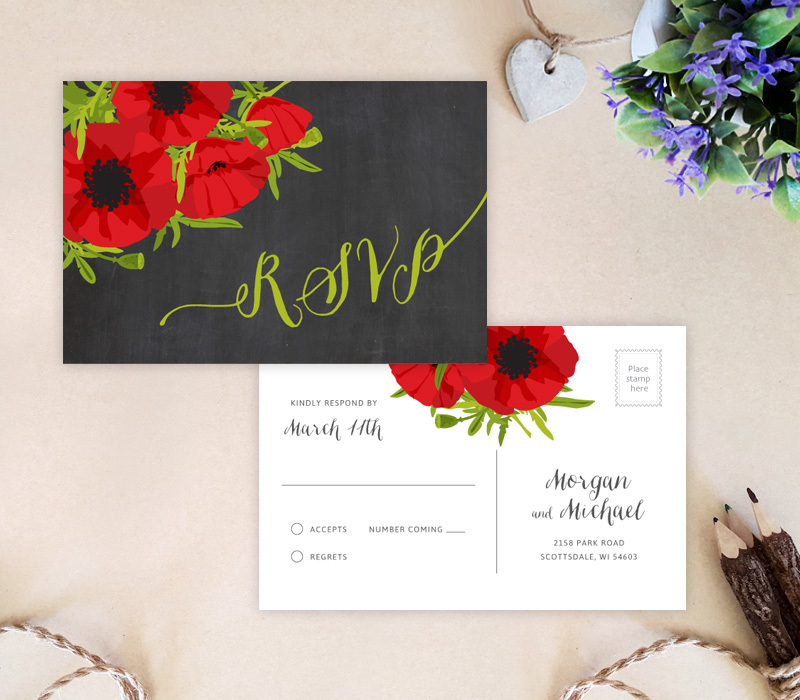 Officially invite your love ones and close friends to your upcoming happy day with our beautiful Poppy Wedding Invitations. 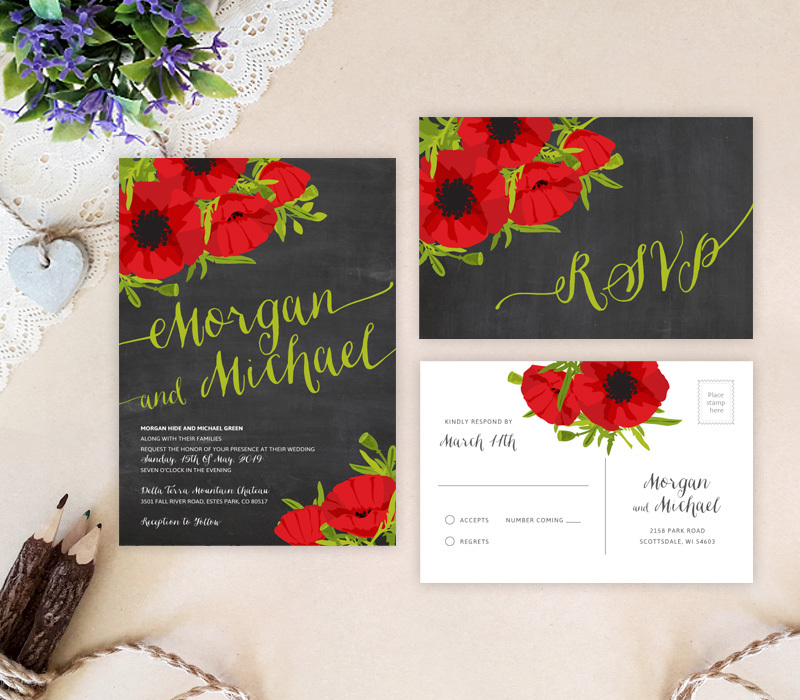 Our blooming invitation will sweetly announce the news of your soon-to-be wedding to your guests. 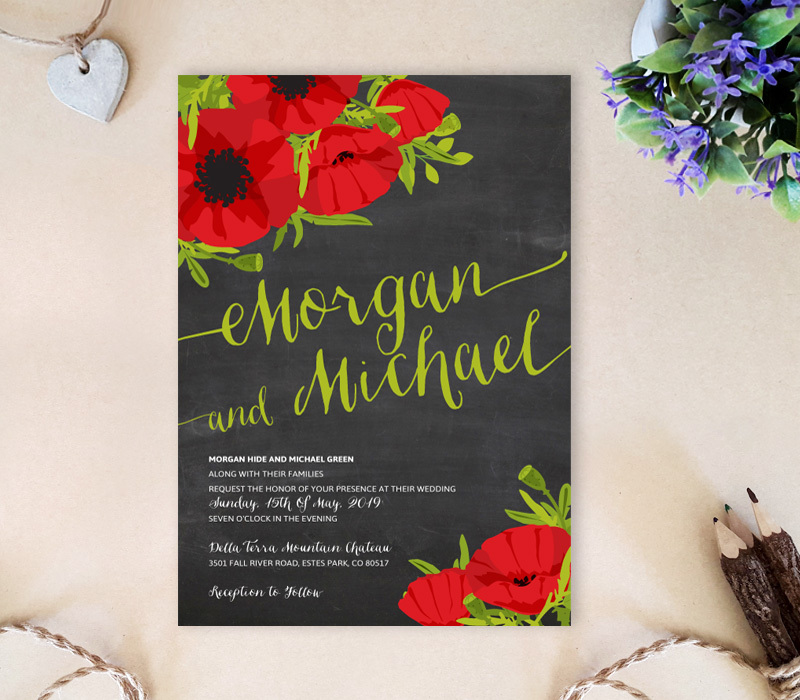 These floral wedding invitations are printed on premium card stock resulting in brighter colors and sharper texts.